Party invitations set the tone for your event. In today's digital age, many people send out interactive invitations over email or social media. While a fun option, there is still nothing like receiving a paper invitation in the mail. 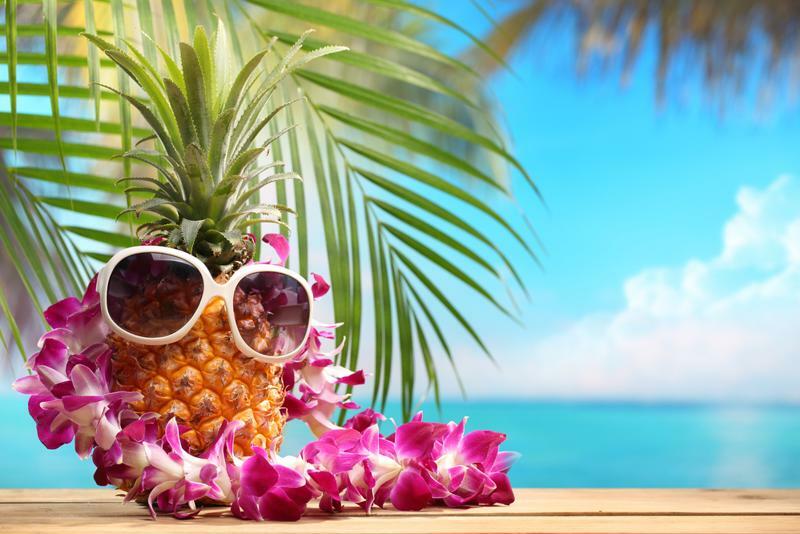 Get creative with your tropical invites, as they could take the form of illustrated flip-flops, beach scenes, frozen concoctions or palm trees. Focus on key tropical colors and tones, such as yellows, blues and greens, which will make your guests think of warm beaches and exotic plants. Don't forget to remind them on the invitation to wear their favorite tropical outfit, as well! To throw a successful themed party, you need to have the right decorations. By throwing your party outdoors, where your guests will have plenty of space to roam around and enjoy the warm spring weather. If this is the case, set up tiki torches around your yard and tropical-scented candles in bamboo holders on all of your serving tables. Also, make sure you have tropical, soothing tunes playing softly in the background to transport your guests to some island far, far away. It's time to throw a tropical garden party to welcome in spring. If you want your guests to get into the island spirit, you need to lighten up about the menu! Focus on bite-sized, small appetizers and treats that your guests can grab and enjoy with ease. 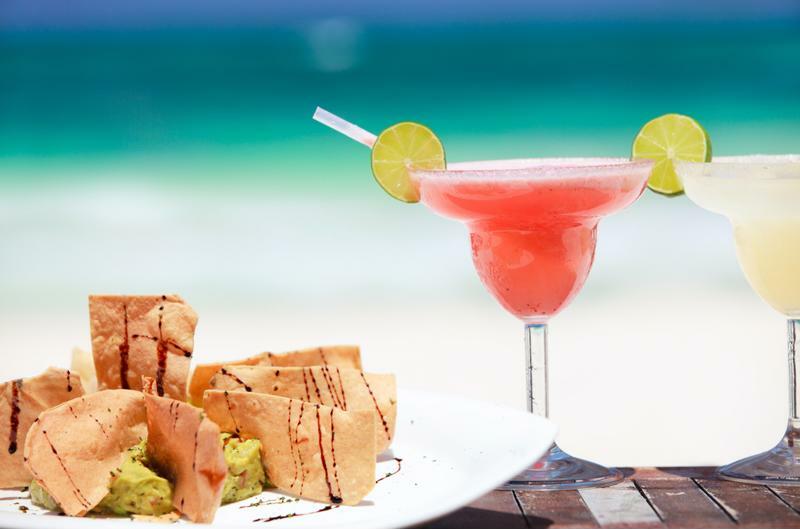 Make sure your menu includes tropical-themed foods, such as jerk chicken bites, pineapple-glazed shrimp skewers and mango-cucumber guacamole. However, if you still want to throw a superb garden party and don't want to deal with the prep or inevitable clean up, consider having your favorite Caribbean or Hawaiian restaurant cater! Everyone loves a frozen daiquiri, which is why this is one recipe you must have at your next party. A great tip to keep in mind is to use more frozen fruit in place of ice, which means your drink won't get watered down in the warm spring weather. Feel free to kick this recipe up another notch with fresh herbs or other citrus fruit. Add ice to the ice reservoir and all remaining ingredients to the Margaritaville® Tahiti™ Frozen Concoction Maker® glass jar. Concoct and pour into tall daiquiri glasses; serve. Pair frozen concoctions with delicious eats for a perfect tropical-themed garden party. This frozen beverage is the ideal way to spice up any springtime garden party. If you want to transport your guests to a faraway Caribbean isle or beach resort, you must make this delectable frozen concoction, which is a variation on the traditional rum runner cocktail. Feel free to swap out some of these ingredients to make it your favorite party treat. Add ice to the ice reservoir and all remaining ingredients to the Margaritaville® Tahiti™ Frozen Concoction Maker® glass jar. Concoct and pour into tall glasses; serve.